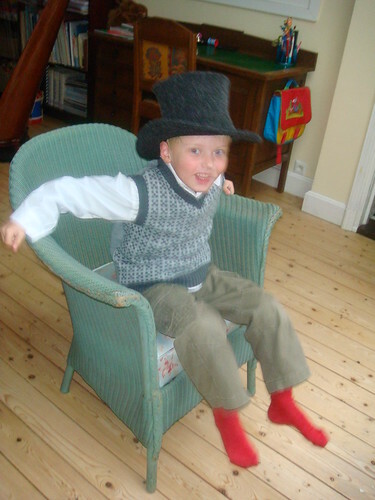 Having had a couple of friends telling me recently that they don’t dare to wear hats, hearing my little nephew of five telling me that he really really wanted a top hat, a real one, was a boost for my morale. I made him a cardboard top hat, but somehow that was not good enough and he persistently asked for a real one. What can I say. 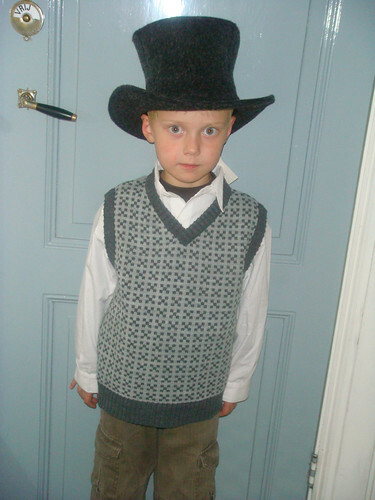 I like the boy. 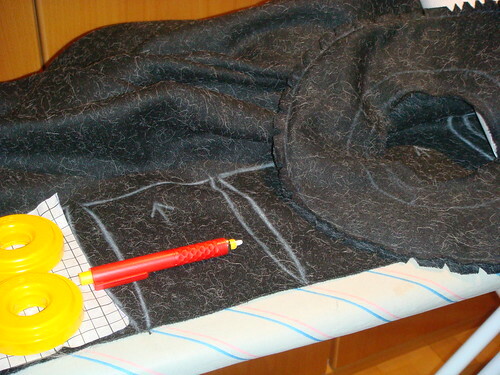 Although the idea is to eventually make him a felt hat, I thought I’d wait a little bit for that and try a go at making a pattern hat. The wool coat fabric I used worked nicely, and the hat turned out great. I made it up as I went along, so the following explanation is not necessarily the best way to do it! 1. 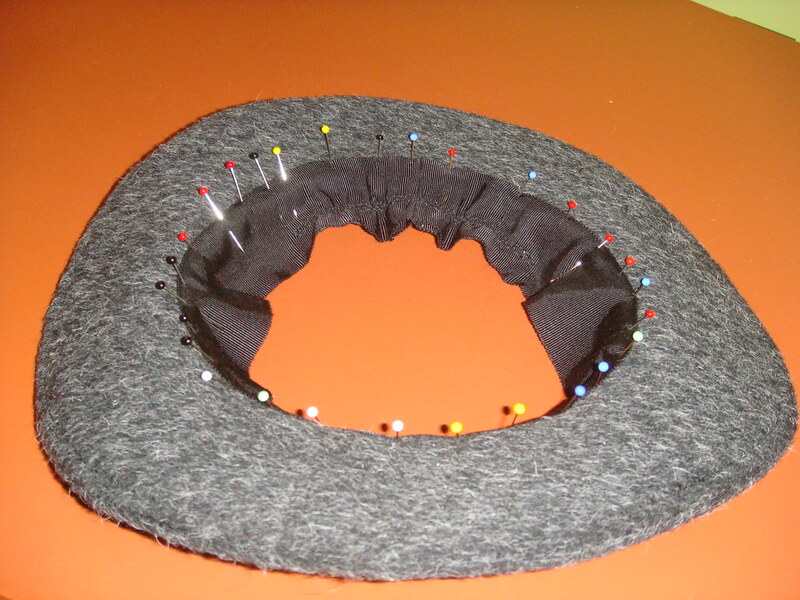 I made a 6 section crown, and to make the pattern I divided the head measurement by six, and added two extra centimeters to cover for the thickness of the fabric (with hindsight I should have added one extra centimeter, so 3 in total). 2. I wanted the hat to curve inward on the sides, and for that I adjusted the pattern. Starting with a rectangle 14 cm high by 9 cm wide, I’ved curved it inward 0.5 cm on each side, which results in a very visible curve on the finished hat. 3. 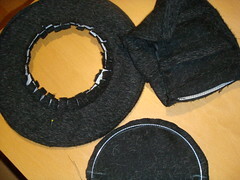 The brim pattern is flat (a doughnut), but the polyester sew-on interfacing (non-woven) that I have used on the brim (not the crown) can be shaped while hot from the iron (although it doesn’t stretch), which helped give it the cute roll on the sides despite having a nylon wire on the outer edge of the rim. 3. 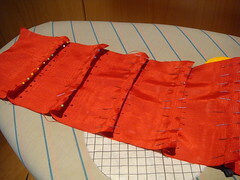 After sewing the 6 side crown sections I used corset boning (rigilene, sold by the meter) cut to size and zigzagged onto the allowance, only on one side of each vertical seam. It’s better to cut it a little bit short, because otherwise it might bulk or poke up on the top. 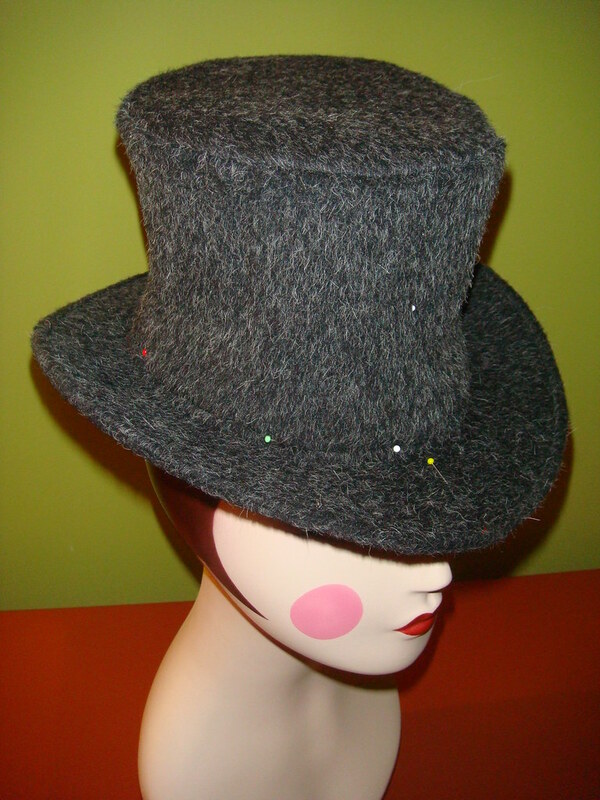 Just that bit of boning made the crown stand up like a real top hat. 4. I zigzagged a nylon wire to the top crown with a decent overlap to avoid it getting lose, and then sewed the sides to the top. 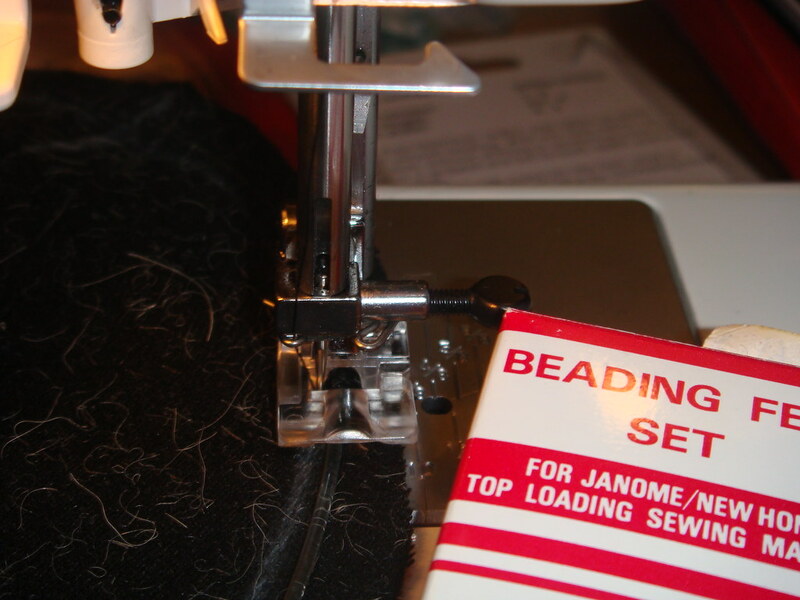 I used a beading foot on my sewing machine to sew the wire, and it worked really nice. 5. 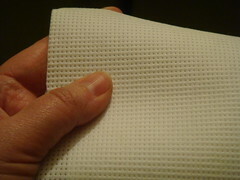 I made a lining using the same pattern but cutting it slightly smaller. I left the back seam open. Next time I will iron some interfacing to the lining fabric to give it some more structure. 6. 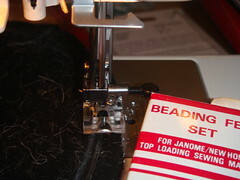 I sewed the grosgrain headsize ribbon to the brim before attaching it to the crown. 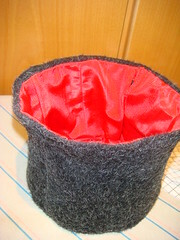 I stitched an elastic on the back of the ribbon so the hat wouldn’t be too big. 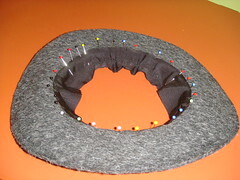 I might do it differently next time, but this time I attached the crown and the brim as if the crown was made of buckram, finishing the crown bottom and stab stitching the two parts together through the tabs of the brim.